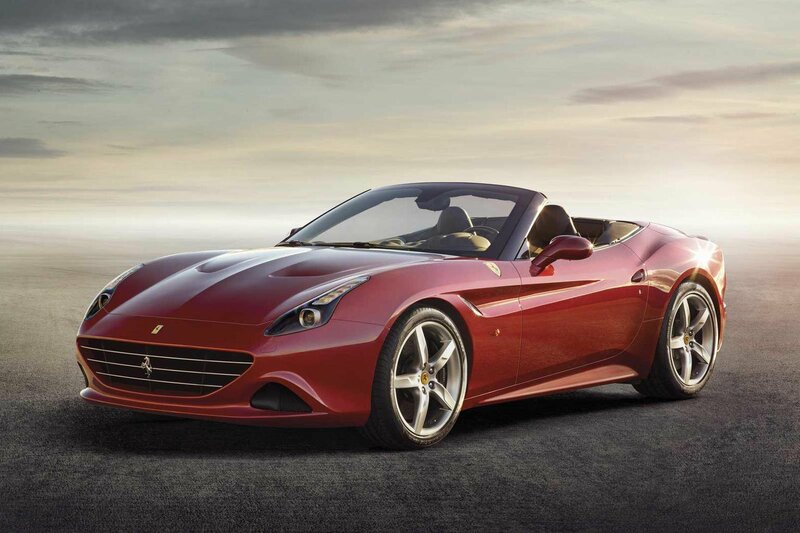 Ferrari California T due at Geneva motor show | What Car? The Ferrari California T will makes its debut at next month's Geneva motor show, complete with the company's new turbocharged V8 engine. The California T replaces the standard V8 version of the folding hard-top convertible, and the new turbocharged unit offers a boost in power and efficiency over the outgoing car. The new engine helps the California from 0-62mph in 3.6 seconds (down from 3.8 seconds) and on to a top speed of 196mph. The car's efficiency is also notably improved, with CO2 emissions dropping by 20g/km to 250g/km. Fuel economy has also been improved by around 15%. Although the engine is made in the same factory as the Maserati V8, there are several major changes, including a boost in capacity, power and torque. Other changes to the California T include a revamped setup that quickens the steering and improves responsiveness, and new springs and dampers to reduce how much the car pitches and rolls through bends. It also has the latest version of Ferrari's traction control system to improve acceleration out of corners, while new brake discs and pads are also offered on the carbon-ceramic braking system. The visual changes include a lightly redesigned grille, a new diffuser at the rear and new side air intakes. Inside it gets a new infotainment system with a 6.5-inch touchscreen. UK pricing is set to be confirmed in April, but is expected to remain much the same as the current car's at £152,154. UK specification will be confirmed at the same time, and is expected to include parking sensors and heated seats. Orders will be taken from March 4, when the car is unveiled at the Geneva motor show.